Once in a while there is a concert that pulls you in from the moment you arrive, wrapping you in an almost visceral cloak of unbridled joy. 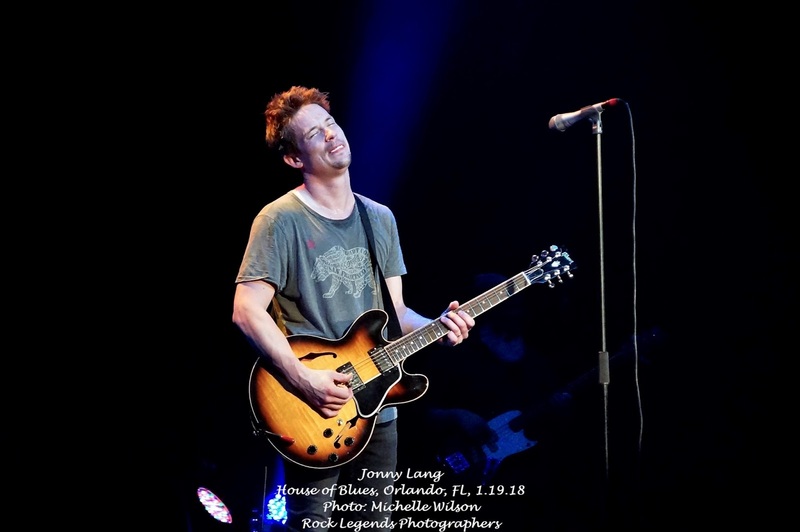 Jonny Lang's performance at House of Blues, Orlando, was just such a show. There was a special vibe coursing throughout the Central Florida venue, one that would endure for the entire evening. Perhaps it was due to the brilliant pre-show music playing from Doyle Bramhall II's latest release, Rich Man. Perhaps it was the visage of Lang himself, lost in the profound hypnosis of his own guitar reverie, as if he knew a secret that no one else knew. Perhaps it was the knowledge that night after night, year after year, the child guitar prodigy with the 40-year-old gritty vocals, Kid Jonny Lang, morphed into the international blues-drenched Christian rocker sensation of today. Perhaps it was all of these thoughts spinning in the minds of the packed crowd, but whatever it was, Lang was on fire and the audience knew it from the first note. Following a brilliant acoustic set from Tony Lucca, Lang took the stage at 9:15pm and kicked off a 100-minute set with a rockin' rendition of "Don't Stop (For Anything)" off his 2006 release, Turn Around. James Anton (bass) and Barry Alexander (drums) backed Lang along with Reeve Carney (guitar) and Tyrus Sass (keys). Lang offered a great mix of material from his catalog including "A Quitter Never Wins" (written by Tinsley Ellis) and "Rack 'Em Up" from Lie To Me (1997), "Red Light" off Long Time Coming (2003), and some cuts from the new record, Signs, including the title track and "Snakes." Perhaps the biggest surprise of the night was a stellar version of "Still Rainin' " from Wander This World (1998), a track not performed live in quite some time. Lang has opted for "Angel of Mercy" instead the past few years, but not tonight. Maybe this was another part of the magic of the evening. After all, it was this record and the songs "Wander This World" and "Still Rainin' " that put Jonny Lang on the music map for many fans, this one included. Interestingly, Lang opted not to perform any material from Fight For My Soul. It's always intriguing how even musicians go through cycles with their own material. Lang briefly exited the stage at 10:10pm and returned with his signature boyish charm, grinning at his fans. "Hope you guys are having fun!" He then tore into a gut-wrenching, stunning performance of "Bring Me Back Home" (also off the new record, Signs) as part of the encore. As Lang described it, "This is about being on the road too long." When the song ended, someone in the crowd shouted "You feelin' it? His voice?" Every person in that venue was, indeed, feelin' it. Closing it out with a haunting, solo acoustic version of "Breakin' Me" (Wander This World, 1998), Lang switched gears midway as the band rejoined him onstage and he changed back to electric guitar for "Lie To Me." Fiercely loyal to his tried-and-true axes, Lang mainly alternated between his Gibson 1959 Les Paul Standard reissue and his custom Fender Telecaster Thinline, but he also played his Gibson ES-335 briefly as well as his Martin J-40 acoustic. I have seen Jonny Lang perform many times, and while every concert has been fabulous, I can honestly say that this show topped them all. I truly hope that music never stops being "fun" for Lang, because as long as he is playing, I am going. 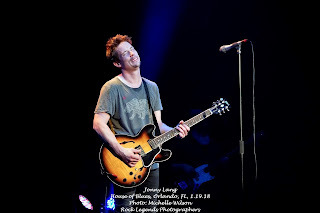 Check out the full set of photos from myself and Michael Yanko of Rock Legends Photographers, and my full review of Jonny Lang's latest album, 2017's Signs, at the links below.